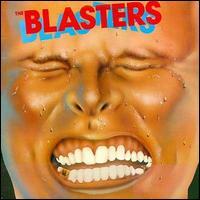 The Blasters is a 1981 album by American rock and roll band The Blasters. Although the album was released in the US by the independent label Slash Records, its strong sales performance required a deal for wider distribution with Warner Bros. Records. The album was well-received, making Time magazine’s list of “top 10 albums” for 1981 and peaking at #36 on Billboard’s “Pop Albums”. Dave and Phil Alvin were as far from the epicenter of popular music as Downey was culturally distant from Hollywood. Soon, however, they became key players on an early ’80s underground scene in which roots music flourished with L.A.-based acts such as the Blasters, Los Lobos, Rank and File, Dwight Yoakam and Lone Justice, who generated ripples that reached the mainstream when the Stray Cats took rockabilly-infused hits to the top of the national pop charts. Additionally, Broonzy didn’t play any one style of blues exclusively. The Alvins also might have tapped Blasters bassist John Bazz and drummer Bill Bateman, but they chose to use current members of Dave’s band, the Guilty Ones, for a couple of reasons. Partly it was triggered by their work together on the long-gestating John Mellencamp-Stephen King musical theater piece “Ghost Brothers of Darkland County,” in which the Alvins took on the part of the titular siblings. “We did the song that I wrote, ‘What’s Up With Your Brother’ on my last album, then when I heard the stuff on the ‘Ghost Brothers of Darkland County,’ I know we have distinctly different ways of singing and I didn’t know whether they’d work together,” Dave said. The Alvin brothers had not recorded together since the Blasters’ “Hard Line” album in 1985, when Dave left to pursue his solo career. He first joined punk band X as lead guitarist, filling in when founding member Billy Zoom temporarily left, then teamed again with X singers Exene Cervenka and John Doe in their country-folk side project, the Knitters, before issuing a series of solo albums widely lauded for his astute, socially conscious and character-rich songwriting.